You can save up to 72 hours of valuable operational time during every rig move using Focus Subsea’s unique Mooring Operations Intelligence™ system. The MOI system allows the deployment and retrieval of secondary anchors offline, by ensuring that anchor wires and chains do not hang up or catch on the rig structure during mooring operations and that anchors are always racked correctly. At the beginning of a well the rig can begin drilling operations once the primary anchors are set and tensioned. At the end of the well, the rig can commence retrieval of secondary anchors as soon as well operations are complete or during recovery of the BOP and cutting of casing. The rig can then be towed at drilling draft as racking of primary and secondary anchors can be observed without the need to ballast up. Also, stability of the rig at drilling draft during the rig move allows for keeping pipe racked up in the derrick, further maintenance and crane operations to take place, subject to weather permitting. 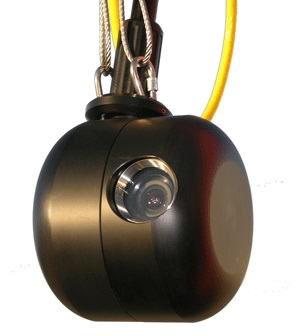 The heart of the MOI systems consists of four 360° custom designed pan and tilt camera each with a dedicated launch and recovery system. Contact us to find out how Focus Subsea can put MOI to work for you.